Winter fun and adventure during the day, luxury pampering at night. 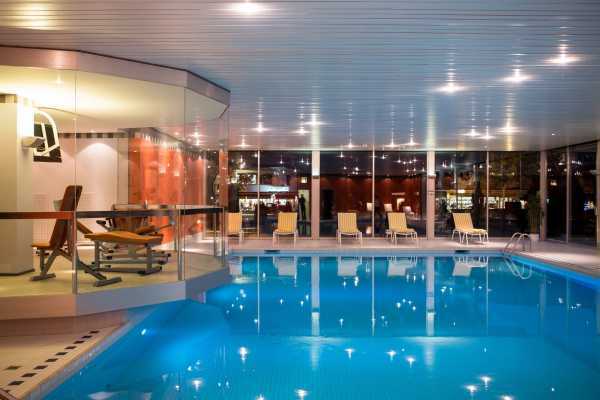 Your stay at the Lindner Grand Hotel Beau Rivage Interlaken will let you discover the excellent traditional service that has made Swiss luxury hotels world famous. 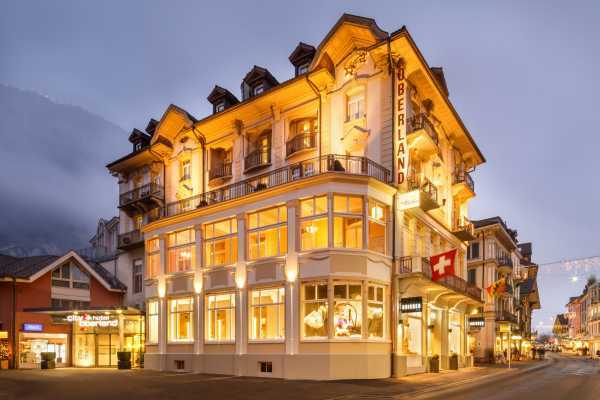 Nestled between Lakes Thun and Brienz with a view of the awe-inspiring Jungfraujoch, the Lindner Grand Hotel Beau Rivage is an ideal base for numerous excursions to landmarks and cultural events in the Bernese Oberland. This package includes accommodation with access to the Spa facilities with oasis pool, sauna, steam room and fitness room. Also included is a free pick up at Interlaken Ost train station. What's Included: Accommodation at Lindner Grand Hotel Beau Rivage***** (Including breakfast) 4 Star Ski or Snowboard rental (Including theft and damage insurance) 4 Star Ski boot or Snowboard Boot rental (Including theft and damage insurance) Gloves and Ski Goggles rental Jungfrau Sportpass Lift Ticket including 3 resorts (3 night package includes only 2 resorts) Mountain transfers (ski bus or local train) Rentals pick up/drop off shuttle service Conditions: Reservations are subject to availability. Terms and conditions of the operators apply. 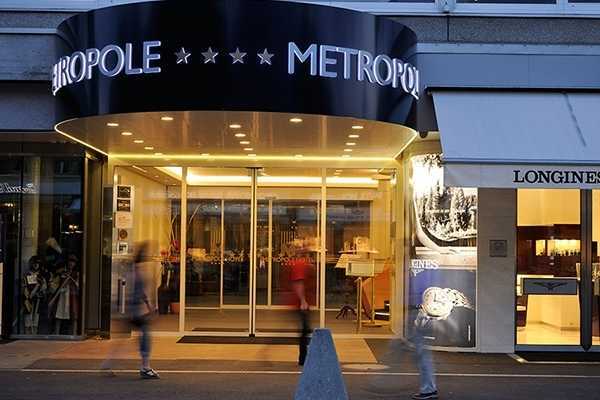 Prices excluding CHF 2.50 visitor tax, payable on arrival. Package provided in cooperation with Bus2Alps AG, accredited member of the Swiss Reisegarantiefonds. 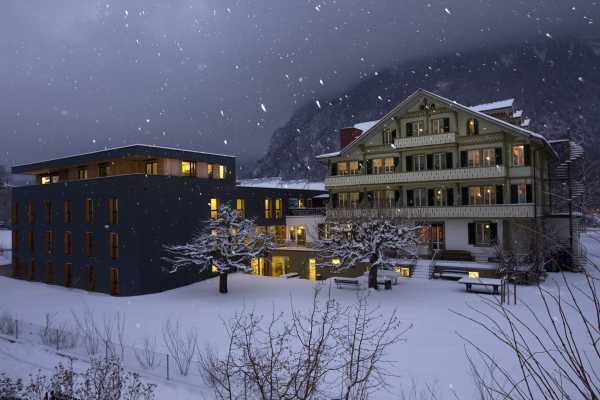 Balmer's Herberge was the first private youth hostel in Switzerland and has been pioneering the youth travel market in Switzerland ever since it's opening in 1961. With cosy accommodation, lively night life and great location, Balmer's is a popular destination for many travellers. 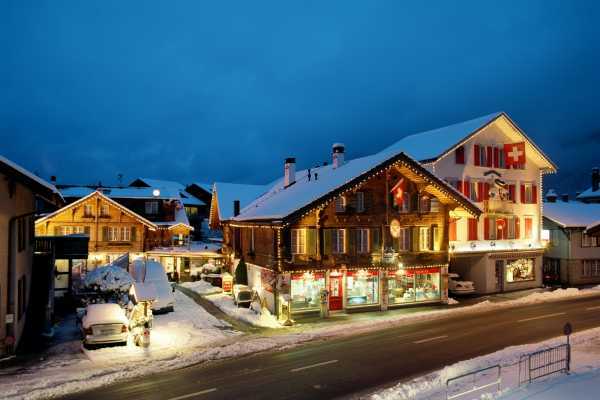 Balmer's is located right next door to our rental shop and opposite the free Ski Bus stop and local buses to Wilderswil train station and the slopes every 30 minutes. What's Included: Accommodation at Balmer's Hostel dormitory room (including breakfast) 4 Star Ski or Snowboard rental (Including theft and damage insurance) 4 Star Ski boot or Snowboard Boot rental (Including theft and damage insurance) Gloves and Ski Goggles rental Jungfrau Sportpass Lift Ticket including 3 resorts Mountain transfers (ski bus or local train) Rentals pick up/drop off shuttle service Conditions: Reservations are subject to availability. Terms and conditions of the operators apply. CHF 2.80 Visitor Tax not included. Payable on arrival. Package provided in cooperation with Bus2Alps AG, accredited member of the Swiss Reisegarantiefonds. The Backpacker's Villa is one of Interlaken's top accommodation options and winner of Hostelworld's "Best Hostel In Switzerland 2015" award. 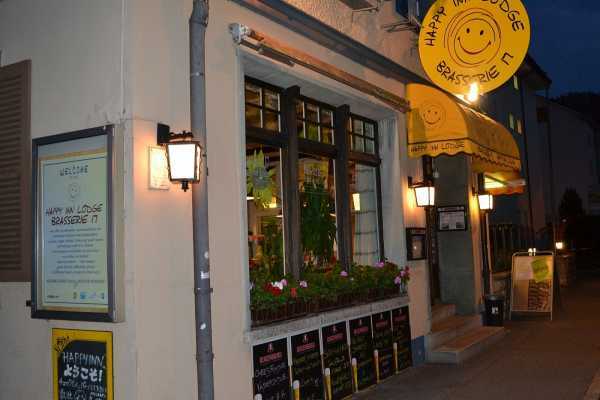 With clean, newly renovated rooms, the hostel is not only an attractive option for backpacker's but also popular with all visitors to Interlaken. Conveniently located only a couple minutes walk away from our shop and also right next to the free Interlaken Ski Bus, the Backpacker's Villa is a perfect base for your winter holiday. Our Backpacker's Villa Ski Package includes accommodation in a 6 bed dorm (or private 4 person dorm for closed groups), and FREE: entry to ICE MAGIC - the unique ice skating experience (open from 19 December 2015 to 27 February 2016.) What's Included: Accommodation at Backpacker's Villa (Including breakfast) Free entry to ICE MAGIC 4 Star Ski or Snowboard rental (Including theft and damage insurance) 4 Star Ski boot or Snowboard Boot rental (Including theft and damage insurance) Gloves and Ski Goggles rental Jungfrau Sportpass Lift Ticket including 3 resorts (3 night package includes only 2 resorts) Mountain transfers (ski bus or local train) Rentals pick up/drop off shuttle service Conditions: Reservations are subject to availability. Terms and conditions of the operators apply. Package provided in cooperation with Bus2Alps AG, accredited member of the Swiss Reisegarantiefonds. The closest airport to Interlaken is only 40 minutes away, visit www.flyskywork.com for direct flights.